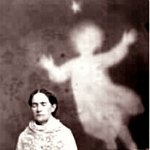 People often ask me how they can meet and talk with their own spirit guides. The first thing to know is that when you ask Spirit for guidance, Spirit DOES answer. It's like you're emailing Spirit and Spirit is shooting back an answer instantly, but your SPAM filter is filtering out this guidance along with a lot of other stuff you really want but aren't programmed to receive. You're waiting for the answer, and the whole time it's there in another file. So throw out any idea or feeling you may have developed that someone in Spirit is letting you down and doesn't care about helping you, or that you are somehow unworthy of receiving answers. Every one of us has guides on duty all the time, and those guides very much want to help us. We have only to ask and then know how to listen. There is one basic reason for all struggles with conscious communication with Spirit: mismatched frequency. We are abiding at a lower vibration than that of spirit guides. If we are water, our guides are steam - so we have to "speed up" to almost boiling, while they have to "slow down" and start to condense in order to meet in the middle. This is of course just a metaphor for what is happening energetically. We have to move vibrationally into love and light in order to consciously connect with beings of love and light. People are usually motivated to first connect with Spirit when they're feeling very lost and confused. While this may seem natural, it's generally a recipe for disappointment and frustration, which can become disillusionment, which just makes things even harder. These emotional patterns of experience then become negative beliefs that build big, thick walls between our conscious minds and input from Spirit. Once people have success with this and learn how to raise their own vibration at will, then guidance can be sought on "problems." They still have to raise their consciousness to connect, however. So what you really want to know how to do is raise your own vibration. One reason that meditation is so universally prescribed for all spiritual goals is because when we RELAX, our vibration naturally rises. People schedule readings with me when they're having problems. They're stuck in negative emotion, so they can't consciously connect with their own inner guidance. The most common reasons I see for people not being able to consciously connect include negative thinking, attachment, fear, doubt/skepticism and laziness. I see negative thinking in folks who are focused on solving problems instead of creating what they want in their lives. As we focus on the problems, our vibration sinks, and we can't see a better way. I see fear in folks who hope they can talk to spirit guides but who are afraid that this is evil or will expose them to evil influences. They are telling the Universe: "Tell me! Don't tell me! Tell me! Don't come too close, you're freaking me out!" I see doubt/skepticism in folks who need to have evidence in order to suspend active disbelief, or who are so caught up in understanding things intellectually that they can't hear/feel what Spirit is whispering in their hearts. Finally, I see laziness in people who want Spirit to speak to them pronto, and don't want to have to do anything for this to happen. Imagine that you speak English, and you're trying to create a close relationship with someone who speaks Spanish. If you only call this person up when you're desperate, you're not going to be able to understand what they are saying to you. If, however, you talk to this person every day, then when you really need something, you can call up and really communicate. Learning how to consciously communicate inter-dimensionally is a great deal like learning another language. It takes some time, effort and devotion. Once these hurdles have been cleared away, then we must remember that spirit communication is a subtle art. We have to watch for and notice subtle cues, interpret them, and trust them enough to act on them. How those subtle answers will come through for you will depend on your primary modes of perception. Let's say you decide to try meditation for communicating with your spirit guides. If you are visual, you may have visions in your mind of your spirit guides, or may be "shown the answers" on your mental screen. If you are auditory, you may "hear" answers in your head. If you are kinesthetic, you may feel like you're missing something. Kinesthetic folks tend to have the hardest time with recognizing conscious communication from Spirit. While others are seeing and hearing things, you may not see or hear anything, but you could actually FEEL a guide "touching" your aura, or just KNOW in your gut what you should do. This is valid communication, and should be recognized and trusted. So as you're meditating, I recommend you tell your Spirit guides: "Please show yourself to me." If you don't get anything clear, then say, "Please tell me that you're there." If you don't "hear" anything in your mind, then say, "Please touch me in some way." You have to trust what you get, of course. It's normal to think you're making it all up at first. Our spirit guides have been with us since we were born, so we have been receiving their guidance our entire lives. Sometimes we call that guidance our "intuition." Sometimes we just know something, and we don't know how we know. Many of the "little voices" in our heads and our "gut feelings" have been our spirit guides talking to us all along - we just thought they were a part of us. Additionally, Spirit can and will guide us through mundane sources, especially if we are open to taking inspired action. For example, if you pray for guidance about your marriage, you may have an impulse to go to a certain movie or pick up and read a certain book, and find the answers you're seeking embedded in the content. You may be talking to someone and hear them speak the answers you've been praying for. They don't have to be conscious that they are channeling Spirit for this to happen. There are infinite ways for Spirit to answer us. Tell Spirit you want clear answers/signs, and demonstrate that you REALLY want this by devoting yourself to the development of this communication on a regular basis. Raise your vibration by healing negative feelings and issues and centering yourself in faith, love, gratitude and joy. Pay attention to subtle signs and messages from all sources. Free Horoscopes, Best Psychics Readings. Kajama.com Copyright © 2019. DISCLAIMER While we are eager to help, this site is not intended to provide and does not constitute medical, legal, or other professional advice. The content on Kajama is designed to support, not replace, medical or psychiatric treatment. All psychic readers listed at Kajama are independent agents and not under Kajama's employ; their listings here are advertisements for their own services.